Thousands of screaming teenage girls inside the First Niagara Center can only mean one thing during the month of December…Kissmas Bash time. Friday evening WKSE-98.5 FM trotted out their 2014 edition featuring several up and coming artists who will make up the mainstream of pop music in the very near future. The show closed out the third consecutive day of concerts at the arena, as Bob Seger and The J. Geils Band played Wednesday and Kerfuffle last night. Actor turned singer Jacob Latimore opened the show much to the approval of the large crowd the was assembled. The show moved along at a fast pace as the downtime between acts for changeover was the key to having a smooth running show. Rixton, the British boy band was up next followed by Echosmith the American indie rock band that has been garnering some attention recently. Nico and Vinz a duo from Norway followed with an interesting set that had them fusing reggae, pop and soul and rap. Formed in 2009 they are comprised of Kahouly Nicolay “Nico” Sereba and Vincent “Vinz” Dery. They may very well have been the most underrated act on the bill. Surprisingly the biggest name on the bill appeared next as Nick Jonas took his turn center stage. Performing songs from his recently released solo album, Jonas had the crowd’s attention and then some. 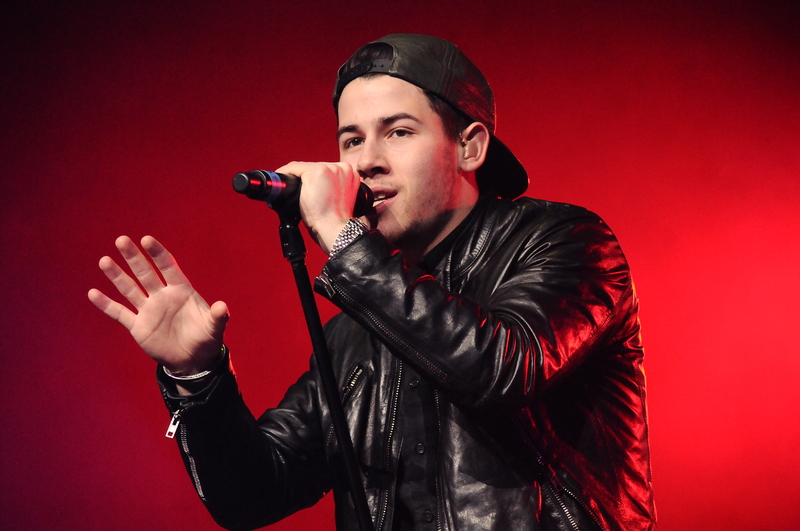 Jonas dressed in a black leather coat and backwards baseball cap had the crowd swooning every time he addressed them. Jake Miller the 22 year old from Florida quickly followed with his blend of pop rap. He was able to connect with the crowd very easily during his brief set. Another artist to look out for in the near future. Closing out the show was Charli XCX. After a considerable delay Charli came out and explained technical difficulties caused the lag and apologized for being late. She proceeded to make everyone forget about the delay as she delved into songs from her latest release Sucker. With a powerful voice and sound that at times reminded one of later Madonna and Blondie, the future for Charli is looking very luminous. Overall Kissmas Bash 2014 will go down as one of the more peculiar ones. On paper the show did not seem overall appealing, but after seeing the affair first hand it surely did what it is designed to do, turn people on to up and coming talent. In year’s past, Kissmas Bashes featured artists such as Avril Lavigne, Vanessa Carlton and other artists who were already established. The past few years we have seen some very bright artists like Ed Sheeran and Philip Phillips who among others keep getting bigger as their careers progress. Put next year’s Kissmas Bash on your things to do list, chances are you may see the next big act.